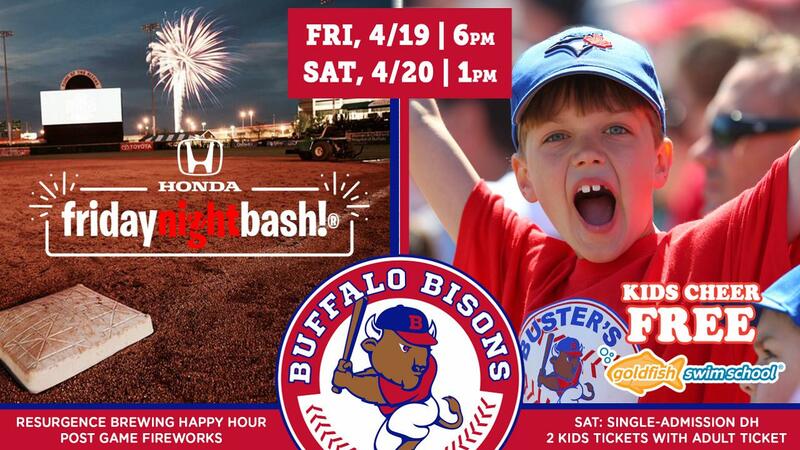 *JUST ADDED: Vladdy Poster Giveaway to the first 4,000 fans in attendance to the Honda fridaynightbash! on April 19 (Gates 5pm). April 20th's game is also the team's first Tops Dog Day at the Park event where you dog gets in FREE with an adult ticket. Special 'Treats Tickets' are available so that both you and your pup get a little something extra when you visit the ballpark.